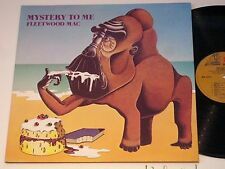 FLEETWOOD MAC - MYSTERY TO ME, MSK 2279 WARNER BROS. Very Good (VG) = very good condition with slight signs of surface wear. 1979 Fleetwood Mac TUSK - 2 ALBUMS - Visually Graded - Rarely played. The Early Pressing vinyl is in Very Good Plus Plus Condition. Title: "Rumours". Label: Warner Bros. Artist: FLEETWOOD MAC. Cover Grade: VG /EX. Record Grade: VG . Genre: Rock. WE WILL DO WHAT WE CAN TO ACCOMMODATE YOU. "FLEETWOOD MAC". Mick Fleetwood, Stevie Nicks, John McVie, Lindsey Buckingham, Christine McVie. Oh, there's no step for you to dance to, so slip your hand inside of my glove. IT'S SIMPLE.IT'S EASY. and WILL SAVE YOU MONEY TOO ! Record Label: Warner Bros. Records‎–2HS 3350. Fleetwood Mac Tusk. Mastered At – Capitol Records Pressing Plant, Los Angeles. Records have been washed by Ultrasonic Vinyl. Records have been listened to in it's entirely. Visual--Label -- EXCELLENT condition. Vinyl -- VG condition with very light wear. Audio -- The A side is in EXCELLENT condition. The B side is in VG condition with very minimal background noise. Shrink has kept jacket in excellent condition, with a small amount of wear on bottom right hand corner where shrink is slightly torn, otherwise light wear at jacket opening only. Visual--Label -- EXCELLENT condition. 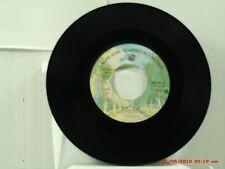 Vinyl -- VG condition with light wear. Audio -- The A side is in VG condition with very minimal background noise. Fleetwood Mac. 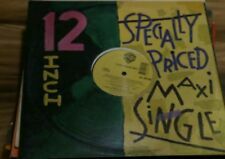 1979 Warner Bros. Records 2HS-3350. Vinyl ranges from VG to EX with very good gloss and clean labels. The jacket and original inner sleeves are EX with NO splits. with single pocket embossed jacket and original inner sleeves. 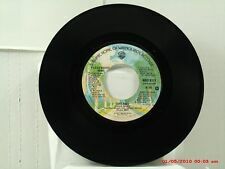 1977 Reprise Records MS 2080 Fleetwood Mac "Bare Trees" Reissue in very good plus (VG ) condition. Cover is in excellent (EX) condition. CHRISTINE McVIE SELF TITLED S/T VINYL LP FLEETWOOD MAC LYRIC SLEEVE IN SHRINK! Christine McVie Vinyl LP. 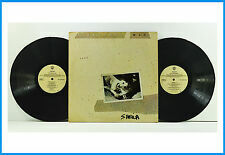 This is for original US 1984 Warner Bros. 1-25059 Christine McVie Vinyl LP. Excellent (EX) - Excellent condition. May have dust or one or two small blemishes that shouldn't affect playback. Fleetwood Mac. Greatest Hits. 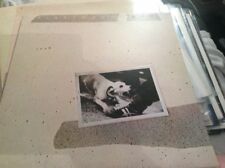 Album cover is EX with promo gold embossed stamp on the. Note : Includes original inner sleeve, promo photo and. FLEETWOOD MAC L.P. 1979. 'TUSK.' K66088. 1st PRESS + INNERS. VG+ / EX.